The following is a report on the work of the Canadian BDS Coalition during 2017. The Canadian Coalition come together in the spring/summer of 2016. The Canadian BDS Coalition formed in 2016 bringing together organizations in Canada that support the Palestinian Civil Society Call through the BDS National Coalition (BNC). By the end of 2017, the Coalition grew to over 23 member organizations. Work began in January 2016 towards contacting the organizations which had been part of the now Canadian Boycott Coalition. Based on follow up during February and March 2016 with the groups that were part of the previous Canadian Boycott Coalition, it was indicated there was strong interest in moving forward with discussions towards a Canadian BDS Coalition. The inaugural conference call was held in April 2016, with the indication that there was interest in moving towards a shared Basis of Unity based on the Palestinian civil society call for boycott, divestment and sanctions. A subcommittee was formed in June 2016 to develop mission, purpose & function to present to the Coalition. From this work, the Coalition finalized its Basis of Unity in September 2016. The Coalition’s agreed Basis of Unity (BOU) is on the Canadian BDS Coalition website. The description of who we are can be found in the About Us section. promote and defend the right of Canadians to freedom of expression in support of BDS. Member organizations share a common commitment to pursuing peace in Palestine/Israel through the realization of freedom, justice, and equality for Palestinians, without which a lasting peace is impossible to achieve. Any Canadian group or organization that supports the BDS National Committee call and endorses the Coalition’s Basis of Unity is invited to join. Member organizations that support the BDS call and the Canadian BDS Coalition’s Basis of Unity listed on the Coalition’s website. The Coalition also works with a network of friends—organizations which have chosen not to join the Canadian BDS Coalition for a variety of reasons, but who work with the Coalition towards a just peace in the region. Several are listed on the Coalition’s website, and others are part of the network but not listed. At the end of 2017 there were 23 member groups, and about 30 other groups that are part of the network associated with the Coalition including two international groups which have Canadian members. Now, in the summer of 2018 we are approaching 30 member groups. During 2017 the Coalition had a focus on capacity building, relationship development, outreach, as well as standing in solidarity with voice of unity for BNC call. The Coalition recognizes the importance to educate people on BDS: It is important that we talk about what BDS is and what it isn’t,. The Coalition provides a window of opportunity to share from an educational position about what BDS is about. The key 2017 campaign of the Canadian BDS Coalition was “End Air Canada’s Complicity with Israel.” This campaign launched in June 2017, built on a several year long campaign of the Canada Palestine Association. The Coalition campaign was international and also include strong labour support in Canada. On November 5, 2017, the Canadian BDS Coalition announced that Air Canada had informed them that Air Canada had cancelled it contract with Israeli Aerospace Industries midterm. The Canadian BDS Coalition announced this as a partial victory as Air Canada continued with a small maintenance contract with Israeli Aerospace Industries and still sold Sabra products on board. See release here. During 2017, several notable BDS gains were made in Canada. The Coalition stands with these efforts involving their members and friends across the country. In February 2017, the Green Party of Canada ratified at 90 percent a resolution supporting a comprehensive boycott, divestment and sanctions policy. See here for the actual motion passed. Subsequently, the Green Party of Canada and its leader Elizabeth May have been reluctant to implement this policy even in light of legislation from the Israeli Knesset such as the Regularization Bill in January 2017 immediately following UNSC Resolution 223. Letters such as this one sent to Leader May/Green Party of Canada during “Holy Week” were sent prepared by the Coalition speaking to the blatant ignoring of the party’s own policy and calling them to account. Two student groups led the way with BDS work. On March 30, 2017, the SPHR at University of British Columbia had a ground-breaking victory when a British Columbia Supreme Court judge brought down this ruling and dismissed a case to stop a boycott, divestment and sanctions (BDS) referendum. At the University of Western King’s College 76% of the students casting votes voted “yes: on a referendum calling for lobbying the King’s administration to boycott and divest from companies complicit in human rights violations against Palestinians. Unifor, the largest private union in Canada was the first private union to support BDS with a motion passed at their Convention in August 2017. The Coalition joined in congratulating Unifor. During the summer/fall many Coalition members were providing support for Niki Ashton’s campaign for the New Democratic Party leader as she spoke in support of BDS in her foreign policy platform. Following the election of Jagmeet Singh as federal leader, focus shifted to bringing forward grassroots motions across the country through local electoral district associations (EDAs) and affiliates for the Convention scheduled for February 2018. There were a number of Palestine related motions (full BDS, settlement/occupation BDS, labeling, ending siege of Gaza, military embargo, and support for the No Way to Treat a Child). The Canadian BDS Coalition while not partisan did provide a way for NDP members within the Coalition to be in contact for mobilization, and also for reach out across the country through the Coalition to NDP members. In October, the first academic boycott in Canada was achieved when the Faculty of Environmental Studies at York University voted to not renew a contract with an Israeli institution. It is not clear if York University administration will follow the direction of the vote of the Faculty based on a release made by the President of York University. The Coalition joined in congratulating the Faculty of Environmental Studies at York University on this partial victory. The TSO Don’t Play for Israeli Apartheid campaign in the Spring of 2017 which saw over 1 K signatures being added within a few days to a petition, letters sent to the TSO members, administration and board, as well as Roy Thomson Hall;, and an action in Toronto when the TSO did a pre-Israel tour concert. Work was undertaken by the Coalition working with Palestinian Academic and Cultural Boycott of Israel (PACBI) and a number of US organizations and local groups on a campaign related to the IPO (Israeli Philharmonic Orchestra) North-American campaign, but when a local Toronto group chose to do an independent action when the IPO came to Toronto, the sole Canadian location in the tour, the Coalition stepped aside. Two members of the Coalition did attend with Adalah-New York action at Carnegie Hall when the iPO played in NYC in October 2017. In January 2017 the Coalition worked with several Canadian groups and Adalah-NY and other US group on a campaign to say no to the Israeli government cultural ambassador Batsheva playing in North America. Actions were held in several cities in Canada including Montreal and Toronto. Also, venues where Batsheeva has played in the past were contacted across Canada urging them to not host state of Israel cultural ambassadors. A key campaign of the Canadian BDS Coalition was Unplug from Israeli Apartheid Bryan Adams campaign. The Coalition worked with Artists for Palestine in the UK and was in touch with over 50 BDS groups internationally with getting support from various countries such as Malaysian, Jordan, Austria and Israel. Boycott from Within (Israel) asked Bryan Adams to contact them. During the campaign Feldman, Adam’s agency had indicated there would be a meeting with a delegation from the Canadian BDS Coalition, however this never materialized despite follow up. This campaign also involved contacting many Canadian artists showing that there is much work to do to build up understanding within the Canadian artist community in regard to BDS. In October 2017, Roger Waters played in seven cities across Canada. The Coalition had a presence in all cities at Roger Waters concerts providing information pickets about BDS at the concerts, as well as a number of the B’nai Brith screenings of their “Wish you weren’t here Roger Waters” films across the country. In Vancouver a finale event to the Canadian tour with a thousand people join to hear Roger Water speak about BDS. Contact with other groups in Australia and several locations in Europe that are working to have a similar approach during Roger Waters concerts in their area during 2018. The Coalition followed up on social media when the Toronto Sun pulled down an article written by Stephen Ellis of Toronto BDS the day following its publication. During the year, the Coalition joined in supporting actions related to: #HandsOffAlQuds across the country following the US Trump Administration decision to name Jerusalem the capital of the jewish state of Israel, the #HandsOffAlAsqa when during the summer the Al Asqa was closed; and the prisoners’ strike in the Spring. At least 75 Canadians from coast to coast joined in days of fast in support as well as actions happening across the country. When Omar Barghouti was arrested the Coalition released a statement of solidarity. Several multi-organizational letters and/or letters that the Coalition initiated were sent to the liberal government, including this one. Also to the Green Party of Canada when they did not implement or speak to their own policy approved at their Special General Meeting (December 2016) and ratified by their membership in February 2017 (see above). During the year, the Coalition also provided support to those who were attacked for their work related to BDS and Palestine reaching out to offer support. A campaign was put in place to support UOIT/Durham College SJP in Oshawa when they were attacked following zionist project attacks to silence them. Tools used included four Canadian BDS Coalition Change,org petitions related to Batsheva, Bryan Adams, TSO, and Air Canada. These petitions saw over 3500 signatures. Palestine has called for a clear focus on sanctions, and the Coalition sees this as especially important in Canada given the relationship with Canada and Israel. Even as the Liberal Trudeau government has taken power in the Fall 2016 election the tone may have shift to be a bit more civil, but the policy direction is essentially undifferentiated from the Harper Conservative Administrations. In Ontario, in May 2016, a bi-party (Conservative & Liberal) private members anti-BDS bill was put forth, although not passed. At this point Premier Wynne said she would come forward with consensus legislation in the Fall 2016 sitting. There was strong advocacy to meet with Ontario MPPs during the summer/fall but all three parties pretty much shutout setting up meetings in this regard. On November 30, 2016, the anti-BDS Motion 36 was presented. Following this the NDP Deputy Leader Jagmeet Singh did agree to a meeting of a delegation from the Canadian BDS Coalition. The NDP had voted against the motion on the basis of defending free speech but not in regard to the principles of equity, freedom and justice for all people including those of Palestine. Work carried on through 2017, with a multi-organization comprehensive brief to the newly establish Ontario anti-racism directorate, along with a separate submission from member of the Coalition, Independent Jewish Voices. Work was undertaken to monitor and raise concerns related to shifted directions to the anti-racism legislation that was focused on feedback from pro-Israel lobby during committee taking away from the resources for those groups which had been identified during the cross province consultation, particularly, black and indigenous. There was not mention of islamophobia but anti-semitism and no mention of people of colour other than black and indigenous. Some changes were made in the final legislation. Also action and support took place in regard to both proactive municipal work, and towards counter-narratives of the zionist anti-BDS action within municipalities. The Boycott HP campaign through the social media campaign, with actions including in Calgary and Vancouver, and in writing letters to HP/HPE head offices and to various levels of governments through freedom of information requests and letters. A letter was sent to the federal government which insisted this was not a procurement request and deferred it to the Minister of Foreign Affairs, who did not answer. In November during International Week of Global Boycott HP, Canada participated through the social media campaign. The Hyundai End its Complicity with Israel campaign of Israel Boycott within (1948). Paypal which is also a campaign that was promoted by a friend of the Canadian BDS Coalition, the United Church of Canada. Air BnB which was promoted by social media, including in the blitz that happened through twitter. Canadian media, politicians and organizations were tweeted from the @BDS_Coalition twitter account. Red Card FIFA was promoted on social media. Goldman Sachs/Open Shuhada Street was promoted on social media, and several info pickets in Canada. Plans for an action related to the Canadian Head Office were deferred until 2018 due to short planning time. Even as the Coalition is focused on being a unifying voice for BDS in Canada, local groups also have specific emphases in their campaigns. Organizations have specific mandates and the Coalition is not intended to in taking away from these; in fact, the opposite, the Coalition is meant to provide a stronger voice for all Canadian organizations that support the BNC call. Several new groups were formed/revived during 2017, and became members of the Canadian BDS Coalition. The Niagara BDS Coalition formed after three pro-Israel national lobby groups attended the June 8, 2017 Region of Niagara Council meeting, resulting in the passing of the first anti-BDS municipal resolution in Canada. Work continues to build education and action towards reversing this draconian resolution that condemns the actions of those who support equity, freedom and justice for all people including Palestine in Niagara Region. 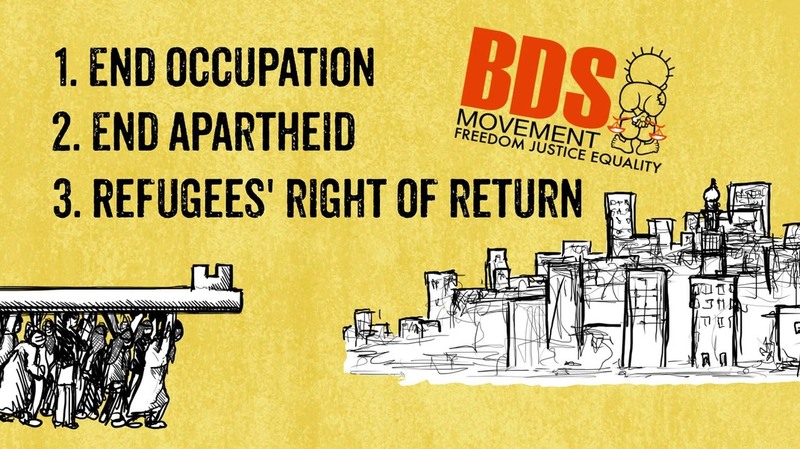 The Toronto BDS Action group was formed in September 2017 and is an active member of the Canadian BDS Coalition deciding to support the work of a comprehensive consumer economic boycott list for Canada that can be locally updated by local groups. Local campaigns in regard to Remax, Quebec Hydro and Israeli wine continue.. There were a number of Freedom of Information and Access to Privacy Request put in through the year including to City of Toronto and Mississauga, anhttps://jonathankuttab.org/d a comprehensive set of requests to about ½ the Ontario Ministries. Also several depuations were made during the year include one by Toronto BDS to the City of Toronto executive committee which had a motion targeted at cancelling as Al Quds as a white supremacist action! Follow up is currently under way with the city of Toronto including a complaint to the City of Toronto Integrity Commissioner based on the Councillor who was making this motion telling the deputant to get lost. After the Quebec terrorist mass shooting in the mosque, the Canadian BDS Coalition and members signed a number of endorsements related to specific actions denouncing white supremacy and islamophobia, and endorsed the forming of the Organization Committee Against White Supremacy and Islamophobia which became the SAFE: Solidarity Against Fascism Everywhere, and now has several chapters forming across the county. The Coalition had one rep who attended the Anti-War Conference in Toronto (International League of People’s Struggles) in August 2017. Two members of the Coalition attended Michael Lynk’s report as special rapporteur to the UN for occupied Palestinian territory (oPt) in October 2017. They also met with various NGO from Palestine, the US and other places both individually and through planned meetings. As well, the set up a meeting with the Canadian UN Ambassador, Blanchard’s office, meeting with a senior staff member who did understand the situation, and did encourage people to come to meet with the office when they are in NYC. Web Site. https://bdscoalition.ca/ Scott Harris has taken the lead to update the site, along with John Turnbull and Tyler Levitan. As we move forward for 2018 and byeond, we focus on the words of Omar Barghouti’s call for the South African Moment to get the Israeli boots off Palestine’s Neck. This entry was posted in BDS Coalition Actions, News, Reports, Uncategorized and tagged #AirCanadaComplicity, Academic Boycott, action, Air Canada, Basis of Unity, BDS, boycott, Bryan Adams, Canadian BDS Coalition, cultural boycott, divestment, education, GPC, Green Party, HP, labour, member organizations, NDP, Omar Barghouti, sanctions, students, Unifor, unions on July 13, 2018 by cbcjpi. Over the last decade Canadian labour has continued to support boycott, divestment and sanctions, with public sector unions joining in, and in 2017 the largest Canadian private sector union supporting boycott. This entry was posted in News, Reports, Uncategorized and tagged asse, BDS, boycott, ccmm-csm, csn, csq, cupw, cuwu, divestment, fneedq-csn, labour, sanctions, Unifor, unions on July 13, 2018 by cbcjpi.